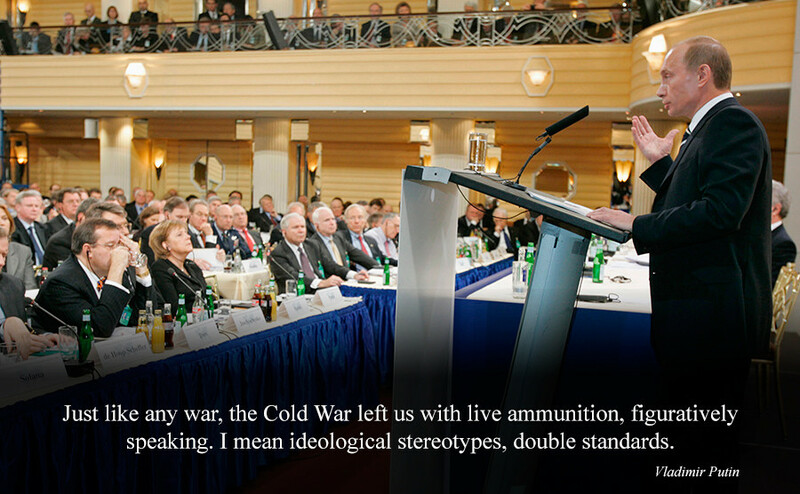 On February 10, 2007, Vladimir Putin delivered his keynote speech at the Munich Security Conference, challenging the post-Cold War establishment. RT looks back a decade to see how accurate his ideas were. The Munich speech presented criticism of a world in which the US gets to unilaterally take decisions on most important global issues with little regards to the interests of other nations, especially those not allied with Washington. READ MORE: What will Trump’s ‘respect’ for Putin mean for US-Russia relations? Putin called such a system inherently unfair and posing various risks to the world, compared to an alternative in which the US has to live by the same laws as the rest of the world and negotiate on conflict issues rather than use military force to resolve them. Over the past year, the US media has upped its rhetoric against Russia, going so far as to accuse it of war crimes and of putting its pawn in the Oval Office. Since 2007, the US has continued its military action in Afghanistan and Iraq, played a key role in the devastation in Libya, is currently contributing to the Saudi Arabian intervention in Yemen and has attacked Syrian troops – presumably by mistake. Some leaders tried to play nice and hope for the better. Libya’s Muammar Gaddafi paid compensation and invested oil money in Western banks. This didn’t save him from being summarily executed by US-supported insurgents. Or Ukraine’s Viktor Yanukovich, who caved in to a US-backed armed coup and signed a EU-brokered power-sharing deal with his opponents. The deal was thrown away a day later, and the president reportedly barely dodged an assassination attempt while fleeing to Russia. 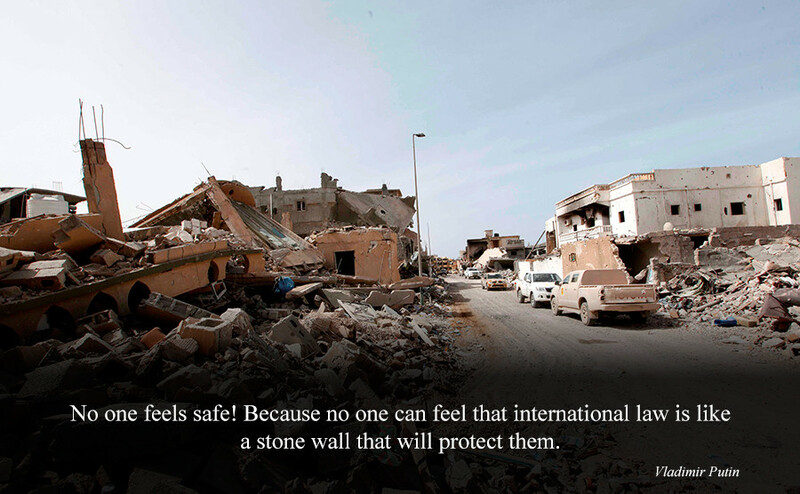 NATO’s mandate in Libya was to protect civilians from airstrikes. The alliance did this with a bombing campaign that targeted anything remotely resembling a military asset. Apparently that included Gaddafi’s youngest son and three grandchildren killed by a missile intended for the man himself. The UK and France played key roles in the campaign. Over the past decade, NATO has absorbed two more nations, Albania and Croatia, and drawn closer with Montenegro, Bosnia and Herzegovina and Georgia. 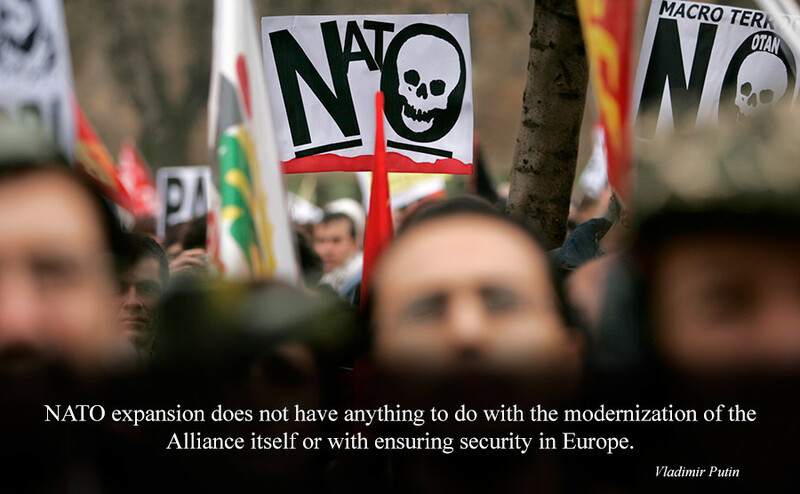 The Ukrainian government has declared NATO membership a priority. NATO has deployed additional troops at Russia’s border and moved to build an anti-missile system, which Russia sees as a threat to its national security. In Iraq and Syria, the terrorist group Islamic State for a while managed to create a more or less functioning state. Their success was to a great degree fueled by propaganda that blamed alienation and disfranchisement of Muslims to the malice of the West. This message attracts not only desperate locals, but also Muslims in wealthy Western countries.